Meet Monica of Black Girls Do Bike! Visit the BlackGirlsDoBike website and follow Black Girls Do Bike on Facebook and Twitter! Monica was featured in two posts earlier this year, On Bikes and Women Involved. (If you have a younger child now or in the past) How do you transport your child? Seat or Trailer? My three year old loves the trailer, so when we hit the road that's where he hangs out. He does have a tricycle that I let him let loose on when we go to an enclosed area without hazards. If you have an older child, how do you bike with them? My daughter is six and last summer she finally learned to ride sans training wheels, so she rides alongside me on her bike. And I have two bonus teenage sons. They can hang with me on the trails. Occasionally the whole crew loads up and goes to a local indoor bike park. Everyone loves that place. I only ride with kids on local trails and parks. The kids must always wear helmets. We avoid roads with automobile traffic completely. What is one thing you would like to see different about bike safety/transport in general that would make you feel safer transporting your child via bicycle? I would take to the streets with my little ones on board if my city had protected bike lanes with a buffer like a parking lane or physical barriers. These changes are in the works in my city so I can’t wait to see how this changes the riding dynamic. I’ve been to cities with this type of infrastructure and I think that it is long overdue. What are tips/suggestions you have for starting a bike riding routine with your child? Like anything you want your kids to pick up, start them early. 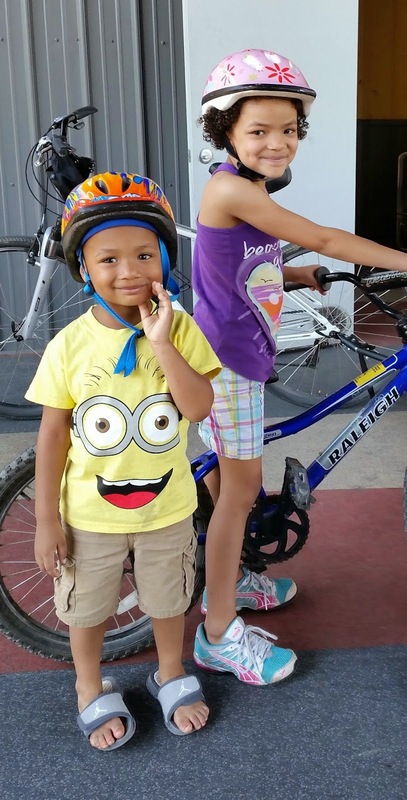 Let them get used to wearing a helmet and riding with you so that they are comfortable riding in a trailer or in a child seat. Be flexible. Start with short distance because they can get restless and always be willing to stop and let them stretch their legs during longer distances. For people wanting to incorporate children into bike riding, what products/accessories would you recommend for a parent and their child? A good trailer is priceless for the little ones. Go ahead and invest in a double carrier, that way, even if you are just carrying one little one they have room to bring fun things along like toys, extra water or a friend. What are tips/suggestions that you have for teaching your child to learn to ride on their own? People often suggest balance bikes for little ones learning to ride sans training wheels. But, I saw a great suggestion once to just remove the pedals from their traditional bike and let them practice pushing off and balancing that way. Then, once they master that add the pedals back on and they will be riding in no time. Saves you from having to buy an "extra" bike and works just the same. Also teach them the rules “of the road” if they will be sharing the road on their own bike. Make them familiar with trail etiquette. For instance, let them know it’s impolite to cut another rider off and advise them to alert riders and pedestrians when passing. 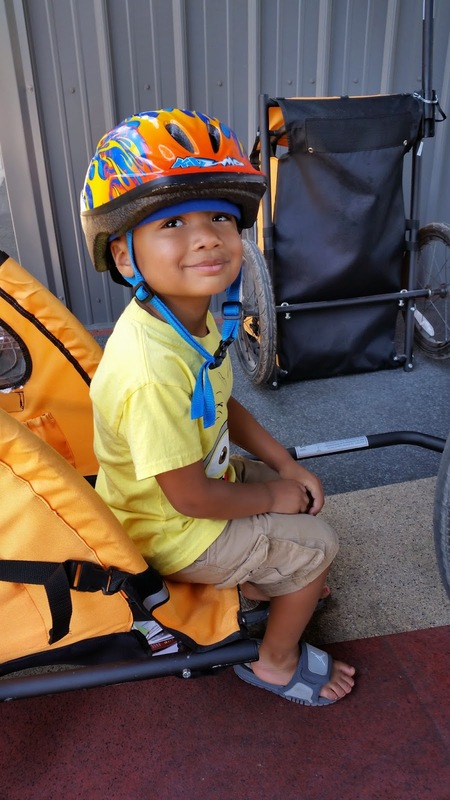 What do you enjoy most about including your child/children in terms of bike riding? I enjoy just getting outdoors sharing time with them being active and seeing the smiles on their faces. I am trying to set a good example to show that life doesn’t happen while in front of the TV or while holding an iPad. Riding a bike connects you to the world around you in a way that not many other things can. It’s nourishing their souls.